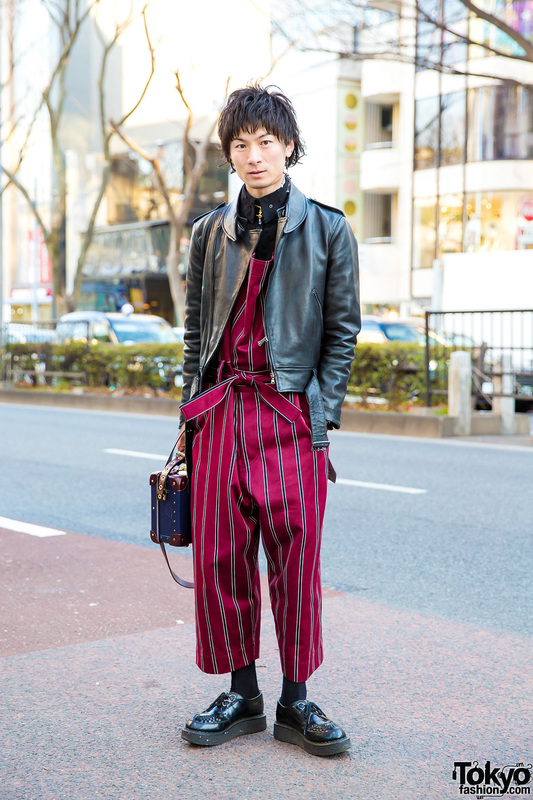 Harajuku girl sporting a chic minimalist outfit while out on the street. 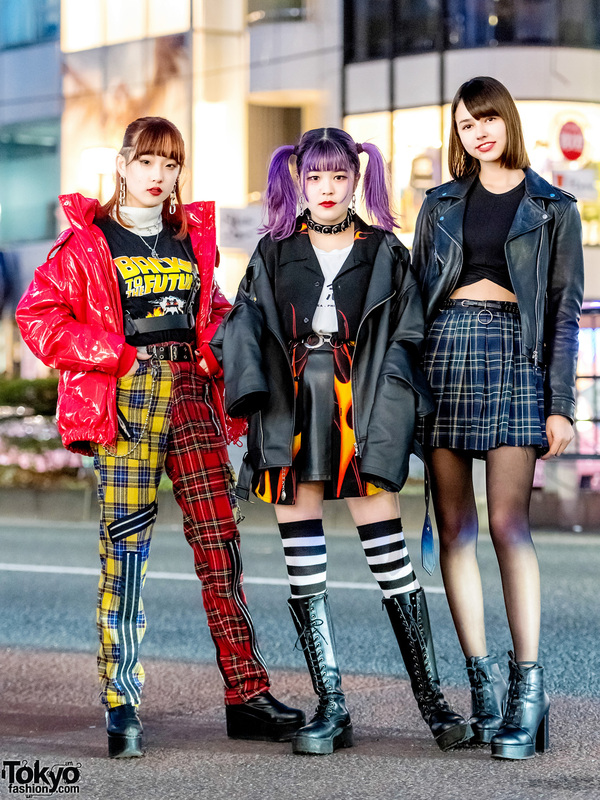 Harajuku girl trio in plaid and flame print street styles while out and about one early evening. Style icon Elleanor wearing a leather jacket, cropped cardigan, black top, pleated maxi skirt, ankle boots, a canvas tote and a plaid sling bag. 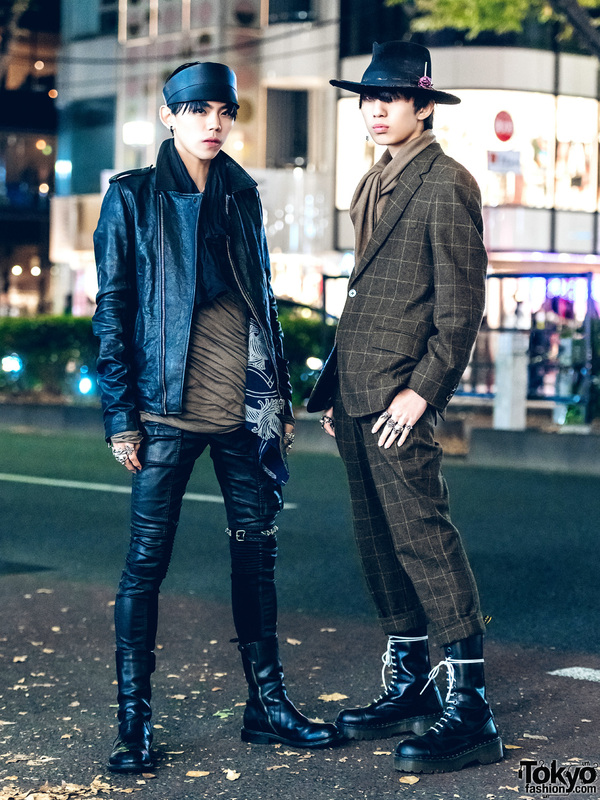 Harajuku guys in black leather and plaid suit streetwear. 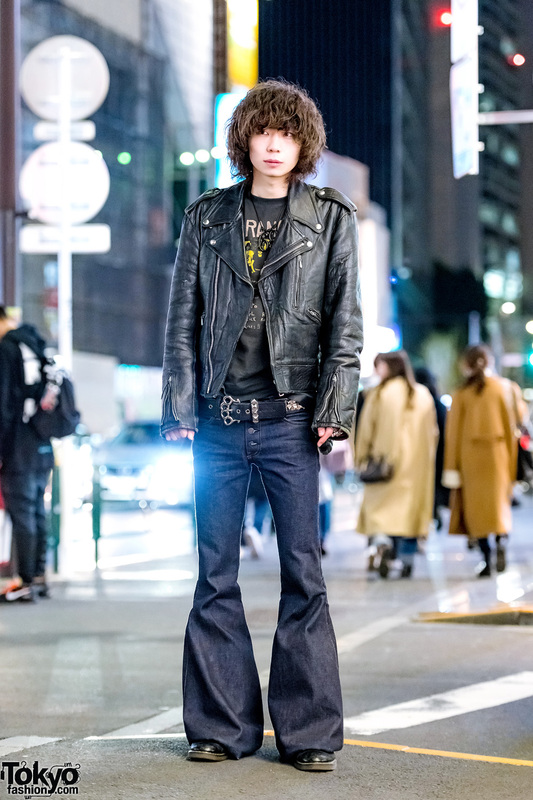 Rikarin of Harajuku dressed in a rock chic fashion outfit while out and about one afternoon.